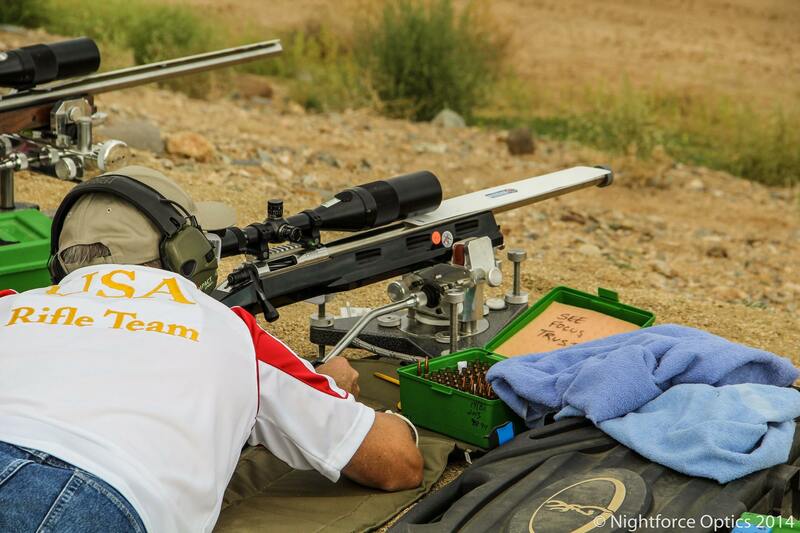 The folks from Nightforce Optics attended the 2014 F-Class National Championships in Phoenix last week. 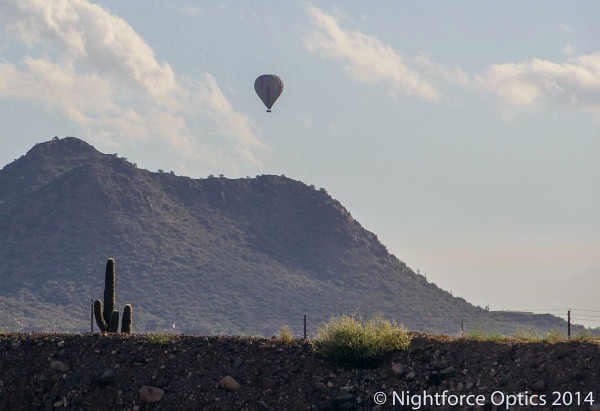 Sean Murphy and his Nightforce colleagues snapped a ton of photos of F-TR and F-Open shooters in action. You can see over 300 images from the Nationals on the Nightforce Facebook Page. Below are some of our favorite shots, with captions. Facebook users can access the full F-Class Nationals Gallery. Here’s winning 2014 F-TR National Champion James Crofts, with his PR&T-built rig. Young female shooter uses SEB JoyPod, a coaxial, joystick-actuated bipod. Yes it is F-TR legal. Yes, you CAN shoot F-Open with a Tube-gun. This modular chassis sports a Delrin bag-rider. 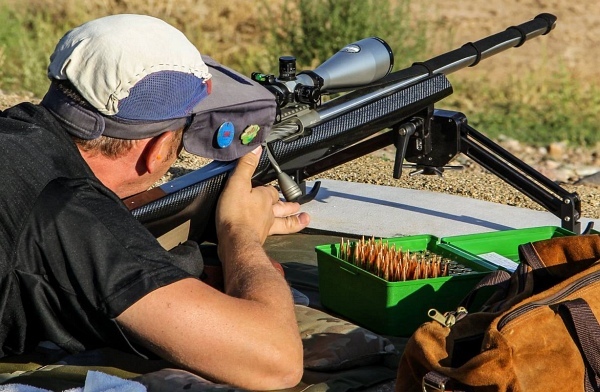 With the rising popularity of F-TR compeition, shooters are adapting Benchrest-style stocks to use a bipod. Here’s a McMillan Bench stock fitted with a bipod. It was hot in Phoenix. Notice that the shooter covered his ammo as well as his head. 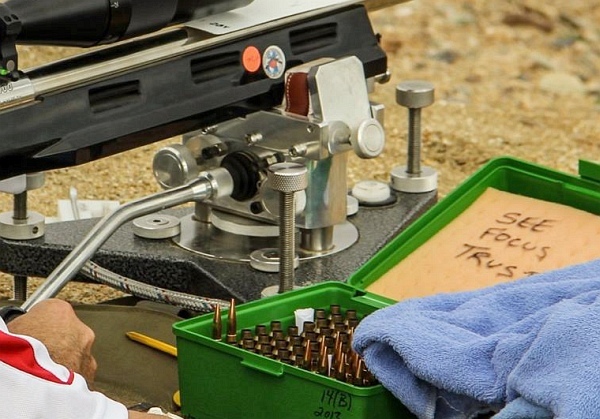 “See, Focus, Trust” — One competitor wrote his mantra on his ammo box lid. 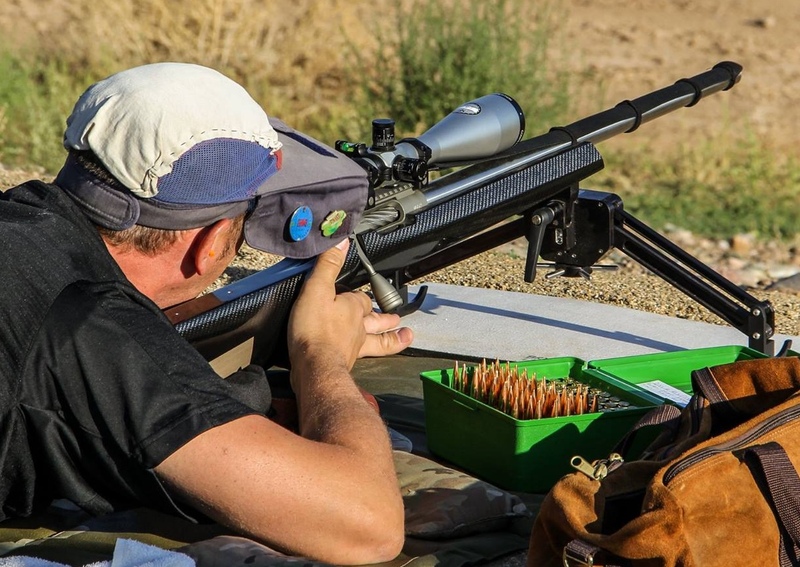 Here ballistics Guru Bryan Litz shoots a John Pierce-built F-TR rig. This uses a low-profile, Benchrest-style carbon composite stock. Shiraz Balolia had a very patriotic rig and a blinged-out tripod front rest. 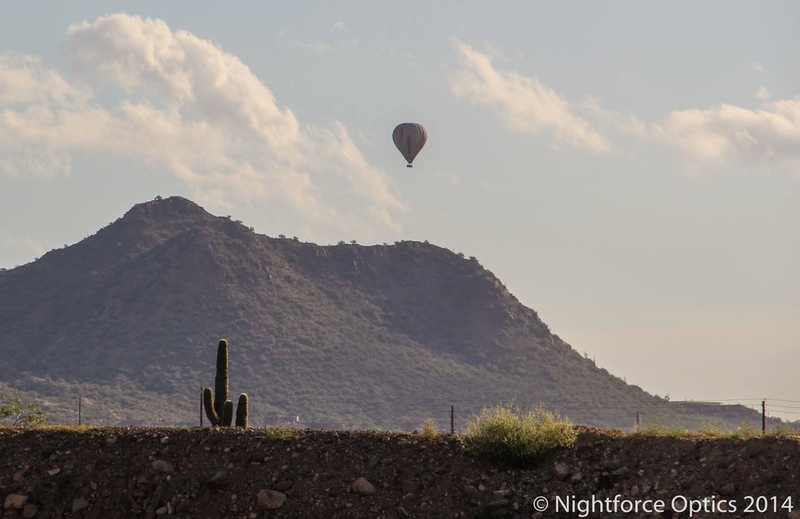 All photos copyright Nightforce Optics 2014, used with permission. 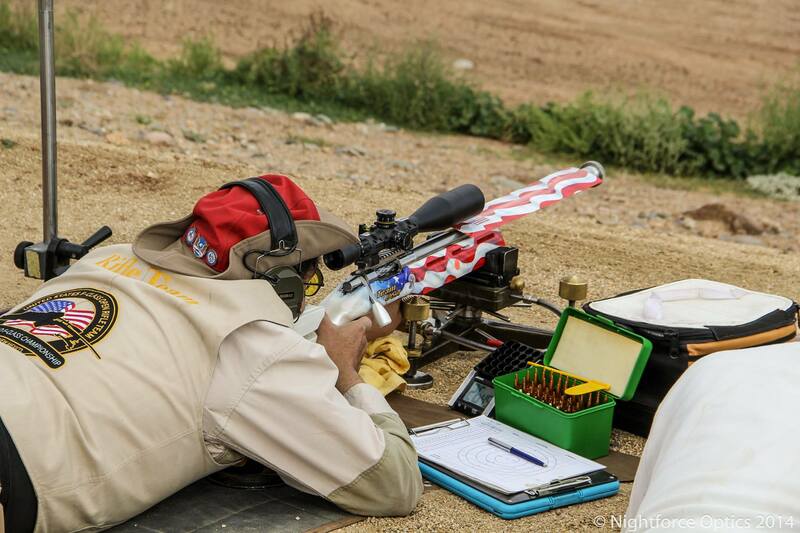 Share the post "The F Zone: Nightforce Photo Gallery from 2014 F-Class Nationals"
“Ready on the Left, Ready on the Right… Commence Watching!” On Wednesday, November 5, 2014, Shooting USA will broadcast coverage of the 2014 National Matches and CMP events at Camp Perry, Ohio. This is a “must-watch” episode for anyone interested in competitive shooting. 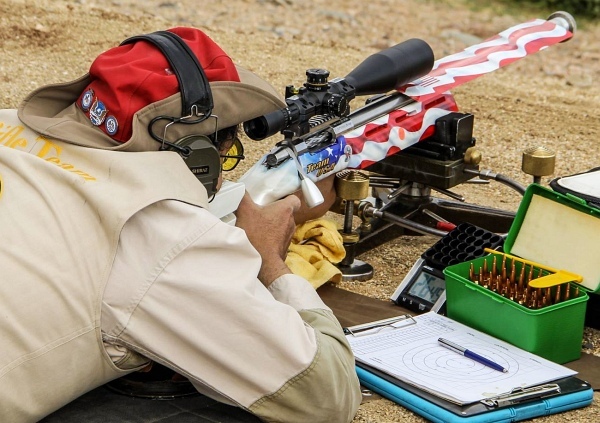 The National Matches at Camp Perry are the World Series of American shooting sports, attracting the nation’s top pistol and rifle marksmen. Shooting USA’s coverage begins Wednesday on the Outdoor Channel. This week’s episode will also feature the m1903 Springfield, an historic American military weapon. Federal legislation originally launched the National Matches. 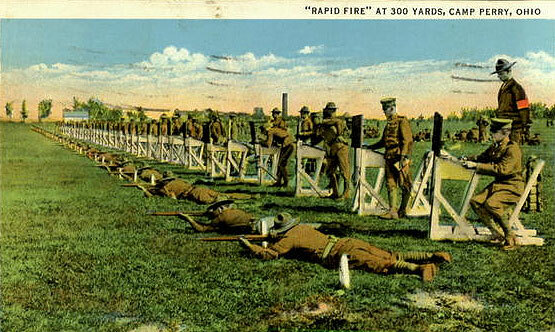 In February 1903, an amendment to the War Department Appropriations Bill established the National Board for the Promotion of Rifle Practice (NBPRP). This government advisory board became the predecessor to today’s Corporation for the Promotion of Rifle Practice and Firearms Safety, Inc. that now governs the CMP. The 1903 legislation also established the National Matches, commissioned the National Trophy and provided funding to support the Matches. 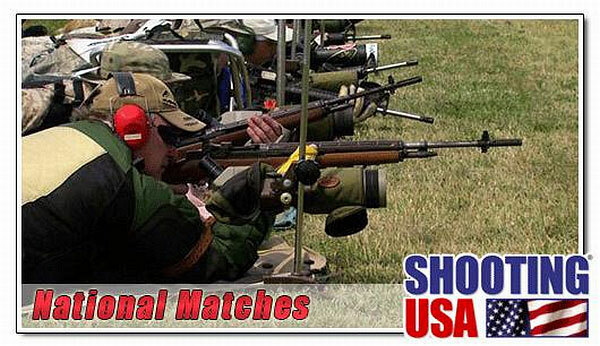 Share the post "Shooting USA TV Features Camp Perry National Matches this Week"
Here’s a reminder that today is Election Day across the nation. This morning your Editor took the time to hop in the car and go cast my vote. You should too. We live in a democracy — it’s important that all concerned, voting-age citizens participate in the process. Remember that you have no right to complain about politicians (or their policies) if you haven’t exercised your right to vote. Not Sure Where to Vote? CLICK HERE for Directories of Polling Places, State-by-State. 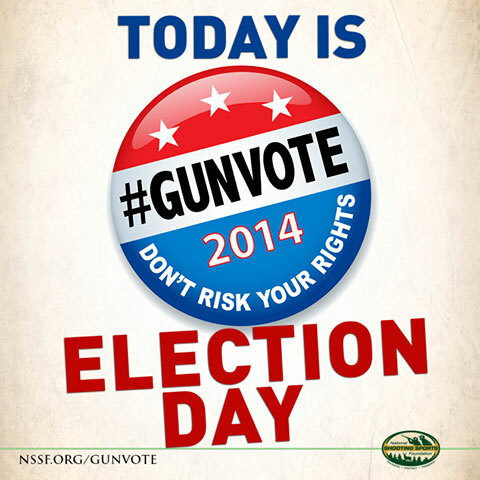 Share the post "Today is Election Day — Participate in the Process"